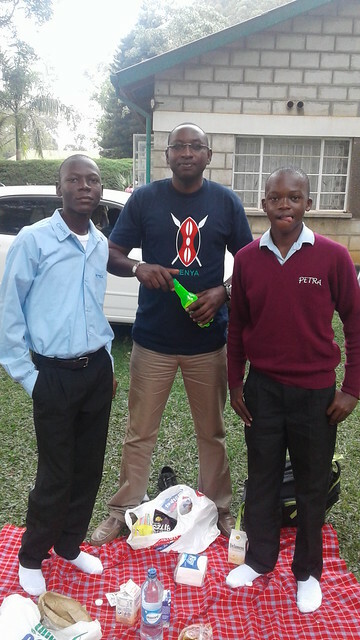 The 2015 Kenya Certificate Primary Education examination was significant to us because it was our very first time for two of our eldest boys at GLO to sit for these national exams and this caused some anxiety. 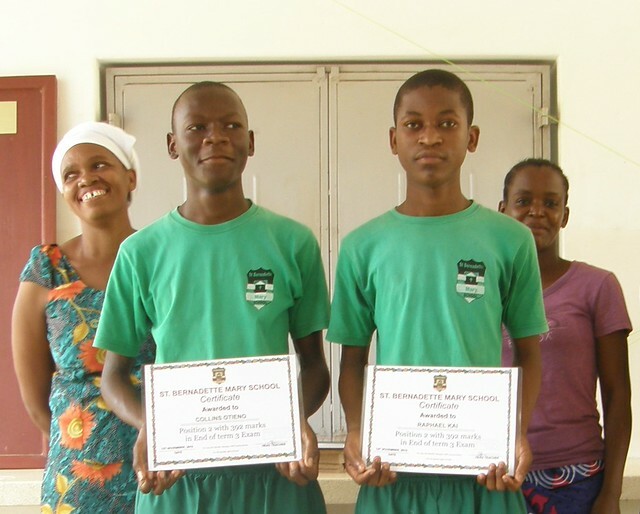 Collins always worked hard for good results in the previous exams appearing among the top three pupils in his class, we therefore anticipated that he could measure up the efforts of his years in primary school for an excellent performance. He has matured into a well disciplined, hard working young man since his arrival at The GLO on Christmas Eve 2008. Since it is a challenge securing a place in high schools due to huge number of students sitting for the same exams, there arose a need to find him a good Catholic founded school as we feel they give a good quality of education in Kenya. Mr. Joe stepped in as he has previously done with the other top candidates at SBM in the previous years. Even before the results were out he started early preparations to secure a place in one of the best and coveted high schools. The journey to propel Collins to the next leg of his studies began on 7th of January. 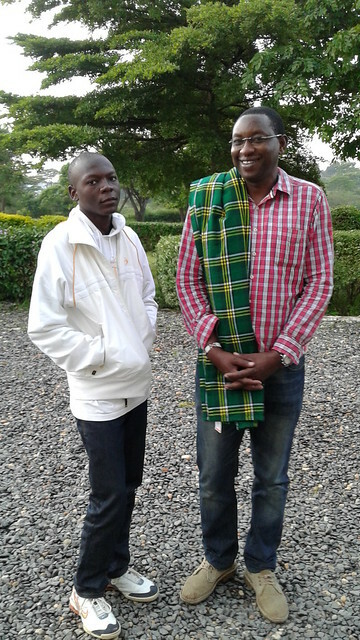 He travelled with Mr. Joe to St. Peters Seminary Mukumu for an interview; it is a centre of academic excellence in the entire province of Western Kenya, where the student population does not exceed 300 and as a result it receives a huge number of applications from students who wish to join. Our boy too had to go through the rigorous interview process and luckily by the end of the day, he was offered a golden opportunity to study in this prestigious education facility. With successful competition interview phase, we instantaneously embarked on the arduous preparations including shopping that culminated on the admission day. Collins was excited and enthusiastic about the journey to his new school which is almost 882km away. 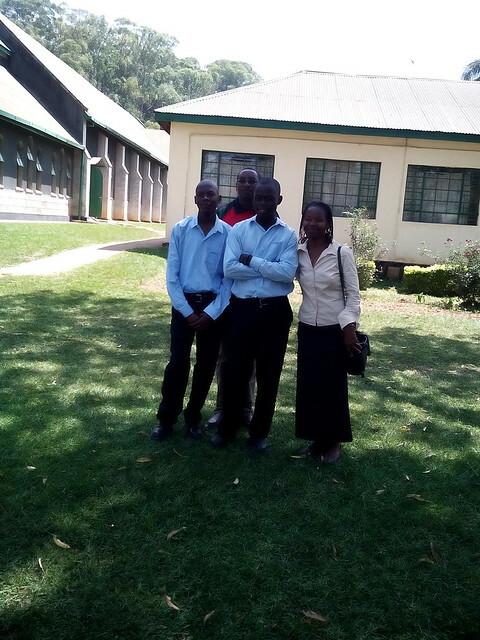 Mr. Joe travelled ahead of us to finalise issues of our other students in another high school; he then waited for us to arrive in the morning of 13th January 2015. The environment, reception was pleasant making it possible for a visitor to easily adapt, this was evident on our arrival at school how friendly and helpful form two students welcomed new members. For every form one student there was an appointed person referred to as ‘sponsor’ who had responsibility of showing them around and helping whenever need be. Admission went very smoothly enabling us have extra time to walk around the facility before receiving a final word from the head of the school as he welcomed the boys to the start of their high school education. He once more emphasised on three major things expected from every student; honesty, obedience and prayer with hard work. He also thanked all parents for entrusting them with their children and promised to do the best in imparting knowledge above all empowering boys to be disciplined people in society. Collins admission is very symbolic since it not only serves to inspire better academic achievements for our GLO Family & the pupils of SBM School, but it is also a personal marker for Collins as he has two younger siblings Rachael and Derick at the orphanage. We wish him the best, to achieve his dream of becoming a Pilot. We cannot express our gratitude to the parishioners of Guardian Angels Parish in Bury and a very generous donor who have donated the funds to pay for his education, without their financial assistance we could never have provided this level of education to Collins. We will keep you all updated with his progress as Collins will be the first of our GLO children to complete his KCSE examinations in four years time, God Willing.